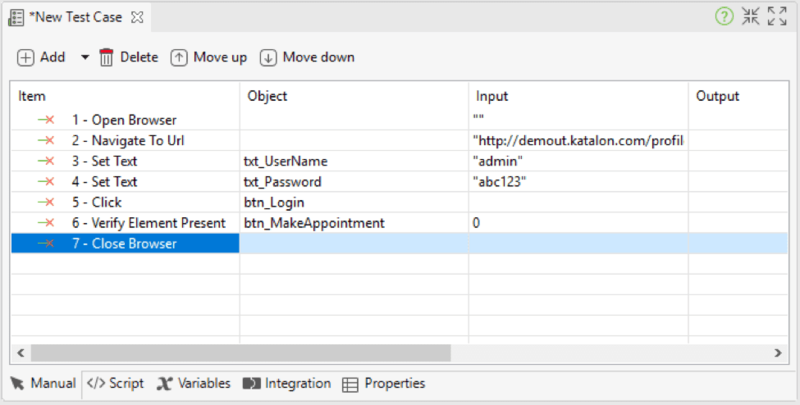 In this automated testing tutorial, learn how to execute data-driven tests with the Katalon Studio test automation framework. Katalon Studio supports data-driven testing which allows users to define data sets and execute test scripts that use these data sets. This tutorial will provide you a simple example on how to create an automation test case and execute it multiple times using different sets of data. You can utilize the Web Record function to quickly generate test steps. Refer to this guide for more details on the Record & Playback feature of Katalon Studio. You can see that the input values for username and password are hard-coded as what you typed during recording (in this case it’s admin/abc123). In order to run this script multiple times using different accounts, you need to parameterize these values. Please continue to the next step. 4. 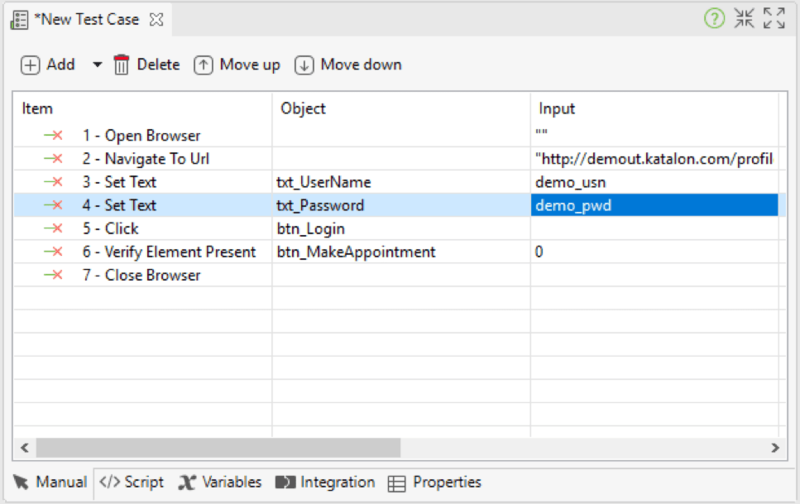 Switch back to the Manual view of the test case and set those two variables as inputs for the username/password fields. Now that you have done the necessary steps to parameterize the required fields for login, proceed to the next steps to prepare data for execution. From here you can apply Data-driven using two methods, either using Test Suites or Loop statement in Test Scripts. 6. 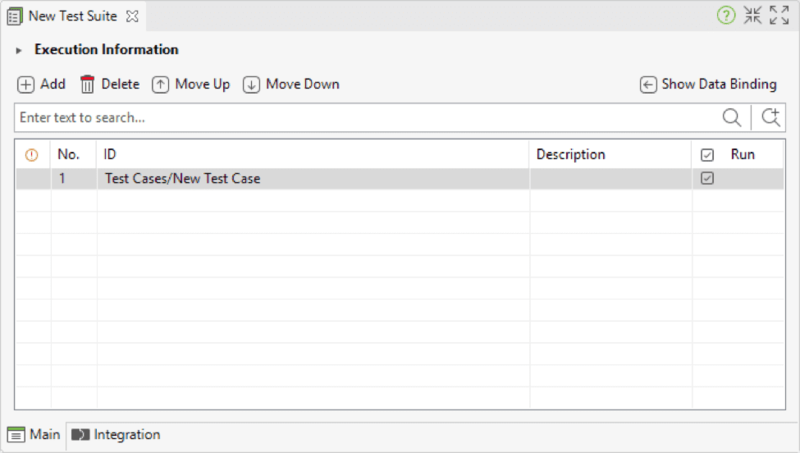 Next, create a test suite to execute the test case using the defined dataset. 7. 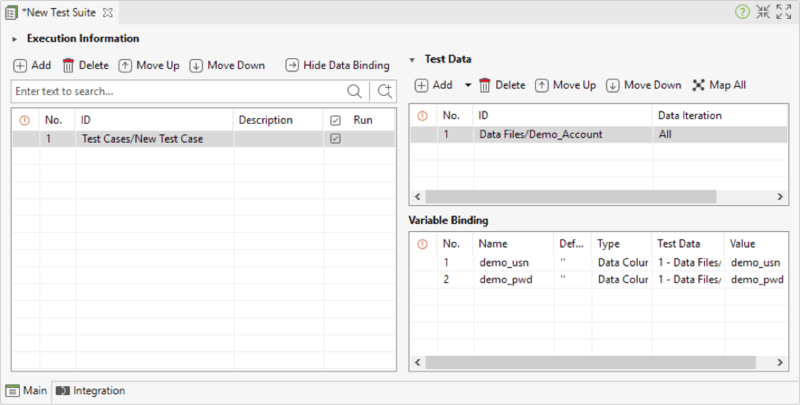 Expand the Data Binding section, add the created data file to the Test Data section and proceed to bind the two variables ‘demo_usr’ and ‘demo_pwd’ to the respective columns of the data file. 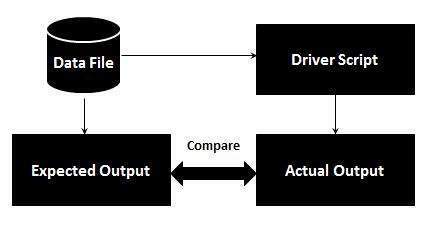 You may refer to Data for test execution for more details about variable binding. 8. 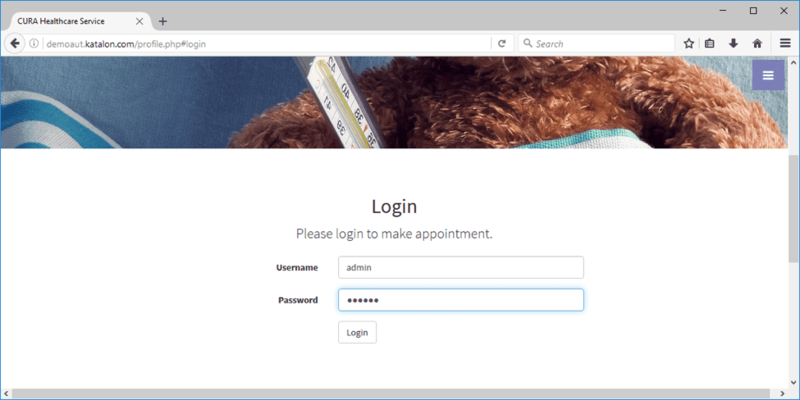 Finally, you can run the test suite, and your login test case will be executed three times using the accounts defined in the test data file. 8. Finally, you can run the test case, and your login test case will be executed three times using the accounts defined in the test data file. Congratulations! You now understand how to approach Data-driven testing with Katalon Studio. To kickstart your web automation testing project, please refer to A sample web automation test project, a step by step tutorial that helps you start working on your testing project easily. For more tutorials about automation testing tools, please visit Katalon’s Tutorials.